November 2015 playlist. Listen up! Last Monday night, I spent a very pleasurable two hours listening to Gemma Cairney interviewing Grace Jones on BBC6 Music (available here for the next 21 days). Props to Gem for doing an exceptional job and asking some great questions to the pioneering icon that is Grace. 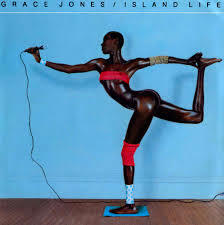 Growing up in Jamaica, her 3-day acid trip and Studio 54 are some of the topics they discuss over dinner. It’s well worth a listen. I heard a Ladyhawke track for the first time in ages recently and remembered how much I liked her. Her entire self-titled debut album Ladyhawke is definitely worth discovering or revisiting, not least because the guitar at 2.43 on ‘Delirium’ reminds me of Chris Rea’s ‘On The Beach’ and I LOVE it. Don’t be scared. Evelyn “Champagne” King: what a voice, what a name! Evelyn’s vocal talents were discovered whilst working as an office cleaner at Philadelphia International Records. What a coup, for all involved! These kind of inspirational discoveries seem typical of that era and not something you really hear of happening so much, these days. Worth a shot though, non? My advice to aspiring vocalists: get a job, any job, at your local record company and sing ’til someone listens. Click here for your November 2015 playlist. You can also view the track-list and listen here.